Number of movies directed by the Wachowski siblings that earned more than $100 million in the US: three. 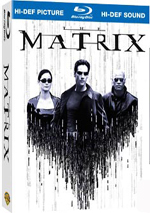 Number of movies without Matrix in the title that earned more than $100 million in the US: zero. Leaving off the Wachowskis’ sole pre-Matrix effort – 1995’s low-budget thriller Bound - all of their post-Matrix films came with enormous price tags. That makes those films’ anemic box office totals all the more problematic. Will movie studios continue to throw cash at the Wachowskis? Maybe, but when 2015’s Jupiter Ascending boasts a budget of $176 million and a worldwide gross of $181 million – only $47 million of which came in the US – it becomes more and more difficult to imagine this pattern will continue. The Wachowskis can only dine off the success of the Matrix movies for so long. At birth, Jupiter Jones’ (Mila Kunis) family believed the stars predicted greatness for her, but as a young woman, she lives a lackluster existence. Jupiter soon discovers her true destiny, though. We learn that aliens long ago “seeded” Earth and other planets so they could eventually be “harvested” to create a youth serum that allows these galactic royals to live forever. This doesn’t prevent other methods of death, though, as the matriarch of the House of Abrasax gets murdered. This leaves a squabble among her children to determine who will become the primary heir. As Balem (Eddie Redmayne), Kalique (Tuppence Middleton) and Titus (Douglas Booth) deal with the situation, we learn that another contender for the crown exists: Jupiter. Alien warrior Caine (Channing Tatum) comes to Earth to protect her from various plots and allow her to find her true place in the universe. As I watched Ascending, all I could do was wonder how the people who created a movie as exciting and inventive as The Matrix could churn out something as leaden and dull as this. At no point does Ascending threaten to develop its own personality. Essentially a mix of elements from films like Dune, Star Wars and The Terminator, the movie remains anonymous and devoid of its own identity. Virtually none of the characters ever becomes engaging or interesting. We should take an emotional stake in Jupiter’s journey, but we don’t. Instead, we find ourselves bored silly as we watch her meander from one circumstance to another. Will she prevail? Yeah, probably, but who cares? There’s no reason to invest in her tale. Eddie Redmayne received a lot of criticism for his weird, wheezy, whispered performance as Balem, and maybe he deserves those comments – he’s certainly a long way from his remarkable Oscar-winning turn in Theory of Everything. That said, at least Redmayne looks like he possesses a pulse. Among a cast that can best be described as “dull and duller”, Redmayne may come across as campy and bizarre, but he does manage to create the only vaguely interesting personality in the bunch. The biggest void resides at the top, as our two leads can’t muster any energy or chemistry. I like Tatum in comedic roles but think he flails when he takes on other parts. That becomes a concern here, as his earnest take on Jupiter’s protector leaves him swimming in a sea of blandness. Tatum lacks the charisma to do anything with the generic character. Like Tatum, Kunis fares best in funnier fare. Actually, I’d term Kunis more of a rom-com sort, and even in those parts, I think she seems pretty mediocre. Kunis stays stuck in neutral as Jupiter. When asked to be assertive, she seems petulant. When required to be emotional, she appears whiny. No aspect of Kunis’s performance works. I probably shouldn’t come down too hard on the actors, though, for the Wachowskis stick them in such a muddled, meandering movie that escape would be impossible. I guess there’s a story at work here, but it struggles to develop. Instead, the “narrative” wanders from one situation to another without much clarity or purpose. The filmmakers throw out the occasional action sequence as window dressing, but those scenes just underscore the lack of drama or excitement on display. The entire enterprise seems clumsy and awkward. Jupiter Ascending leads to terminal boredom and nothing else. 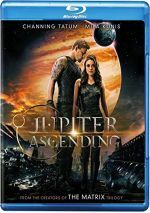 Jupiter Ascending appears in an aspect ratio of approximately 2.40:1 on this Blu-ray Disc. This became a consistently solid presentation. Sharpness worked well. Only the slightest sliver of softness ever affected wide shots, so the vast majority of the movie brought us terrific clarity and definition. No signs of jagged edges or shimmering occurred, and I saw no edge haloes. Print flaws also failed to materialize. In terms of palette, Ascending usually went with “Hollywood Standard” teal and orange. While that trend was predictable, I couldn’t complain about the replication, as the hues looked strong within their stylistic constraints. Blacks came across as dark and tight, and shadows appeared smooth and easily discernible. All aspects of the image satisfied. This Blu-ray lets you hear the film with a Dolby Atmos soundtrack – if you own the equipment to play it. The track works on standard Blu-ray players but requires an Atmos-equipped receiver – as well as more speakers – to get the full effect. Maybe someday I’ll upgrade for Atmos, but that day isn’t today. Happily, the Atmos mix played back as Dolby TrueHD 7.1 for those of us with “antiquated” systems and it added strong involvement to the experience. The soundfield presented an active and lively piece that constantly engaged the various speakers. The film showed distinctive imagery throughout the movie that placed different auditory elements accurately within the spectrum and meshed them together nicely. Music provided strong stereo imaging, and effects popped up from the appropriate locations. Quieter scenes displayed natural ambience, while the many action set pieces involved engrossing and vibrant imaging. Effects packed a nice wallop when necessary, as these elements seemed clean and distinct at all times. Bass response came across as deep and tight, and the low-end added a good layer of depth and oomph to the package. I thought this was a consistently impressive soundtrack. In terms of extras, Ascending comes with seven featurettes. Jupiter Jones: Destiny Is Within Us runs six minutes, 56 seconds and provides notes from writers/directors Lana and Andy Wachowski and actors Mila Kunis, Channing Tatum, Tuppence Middleton and Eddie Redmayne. Though it briefly discusses other roles, “Destiny” mostly focuses on the movie’s lead. It delivers a handful of minor thoughts but mostly feels superficial. Another character becomes the focus of Caine Wise: Interplanetary Warrior. This goes for five minutes, 18 seconds and offers info from Lana and Andy Wachowski, Tatum, Kunis, costume designer Kym Barrett, makeup/hair designer Jeremy Woodhead, UK stunt/fight coordinator Benjamin Cooke, and actor Sean Bean. As expected, this piece concentrates on Tatum’s role, so some fluffiness ensues. That said, we learn some interesting tidbits about design areas and stunts, so “Warrior” merits a look. We look at the writers/directors during The Wachowskis: Mind Over Matter. It fills seven minutes, 25 seconds with remarks from Tatum, Kunis, Bean, Middleton, Lana and Andy Wachowski, Redmayne, Woodhead, Middleton, VFX supervisor Dan Glass, producer Grant Hill, and actors Douglas Booth, Kick Gurry, James D’Arcy, Edward Hogg, Oona Bae, Maria Doyle Kennedy, Terry Gilliam, David Ajala and Tim Pigott-Smith. Essentially “Matter” tells us how talented and awesome the Wachoswkis are. It lacks substance. In the nine-minute, 36-second Worlds Within Worlds Within Worlds, we hear from Kunis, Hill, Barrett, Woodhead, Lana and Andy Wachowski, Tatum, Glass, Bean, Booth, Middleton, and Redmayne. Here we learn about various sets, effects and other design topics. Though it comes with some good info, the continuation of the puffy tone from the prior featurettes makes it less consistent than I’d like. Genetically Spliced lasts 10 minutes, 25 seconds and features Pigott-Smith, Bean, Woodhead, Glass, Tatum, Hogg, Barrett, Cooke, Middleton, and actor Ariyon Bakare. Once again, we learn about various design topics. Once again, we get more praise than I’d like, but enough info occurs to turn this into a useful piece. Next we get the nine-minute, 35-second Bullet Time Evolved. It offers details from Glass, Lana and Andy Wachowski, Tatum, Kunis, Redmayne, and stunt performer Taig Khris. Stunts and effects dominate “Evolved”, and we find the usual mix of worthwhile details and puffery. Finally, From Earth to Jupiter (And Everywhere In Between) occupies nine minutes, 34 seconds and provides material from Kunis, Hogg, Bean, Pigott-Smith, D’Arcy, Lana and Andy Wachowski, Doyle Kennedy, Bakare, Gurry, Glass, Middleton, Lana and Andy Wachowski, Booth and Redmayne. Again we learn how amazing and imaginative the Wachowskis are. We still find a smattering of decent details but the praise remains a drag. The disc opens with ads for San Andreas and Pan. No trailer for Ascending appears here. A second disc presents a DVD copy of Ascending. 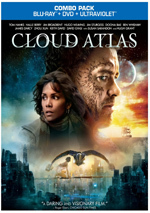 It includes the “Destiny” and “Spliced” featurettes but lacks any of the other extras. With Jupiter Ascending, the Wachowskis reach their low point. The movie suffers from recycled ideas, dull characters and lackluster action, none of which threaten to engage or entertain the viewer. The Blu-ray brings us excellent picture and audio as well as a collection of mediocre featurettes. Maybe someday the Wachowskis will create another movie that reminds us why they impressed us so much with The Matrix, but Jupiter Ascending becomes a total misfire.